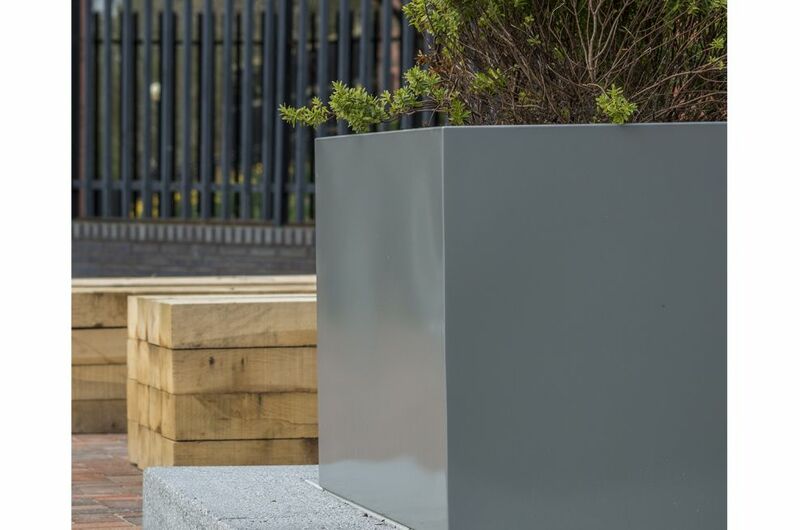 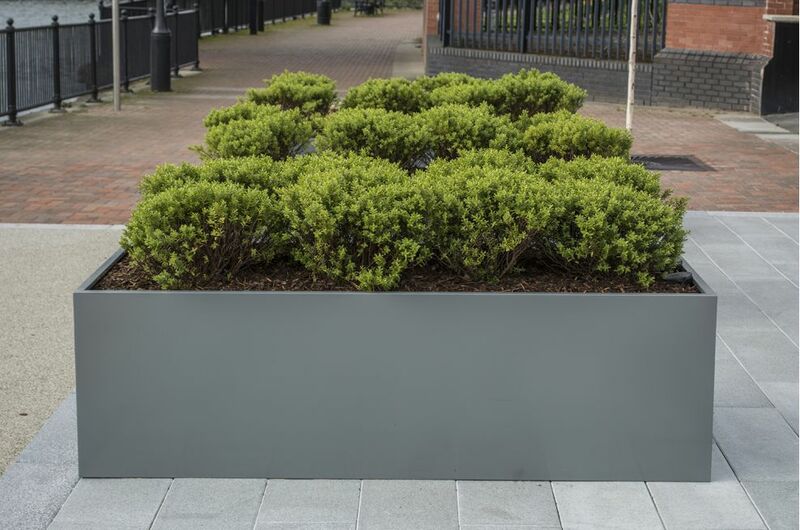 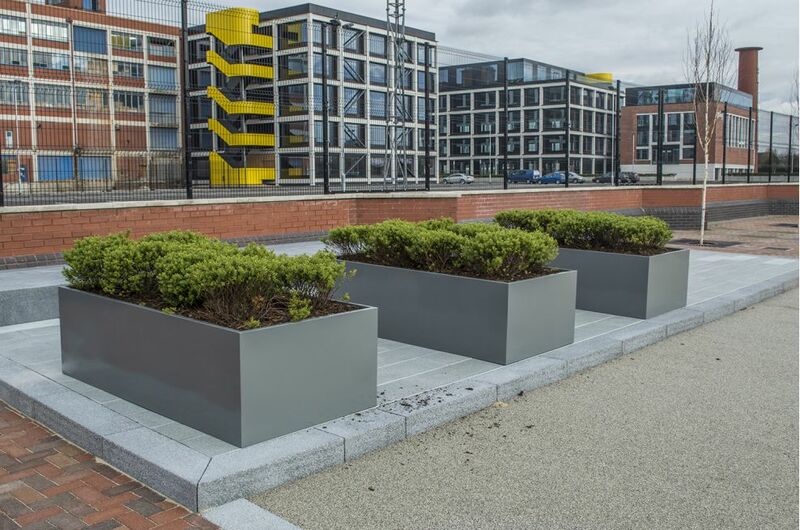 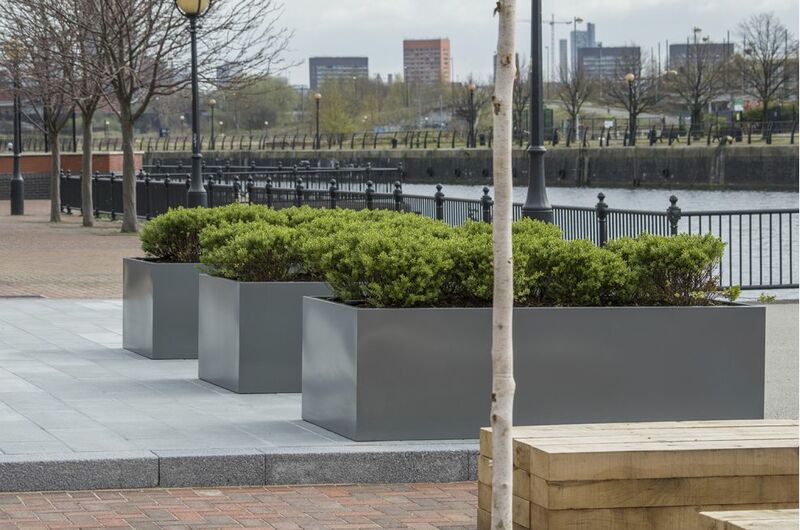 Bespoke powder coated steel planters were commissioned for the iconic Soapworks office redevelopment at Salford Quays, Manchester. 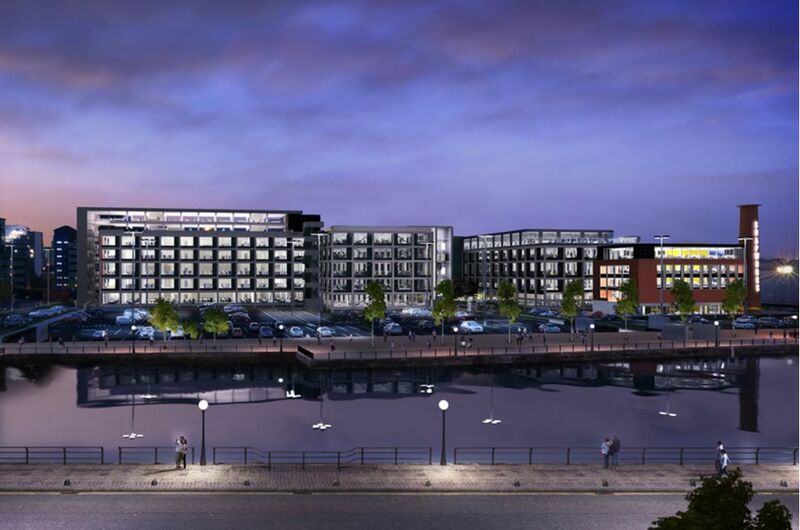 Soapworks is the largest speculative office redevelopment outside of London, comprising 400,000 sq ft of Grade A office space, centred around a complete re-development and re-modelling of the former Colgate Palmolive production facility. 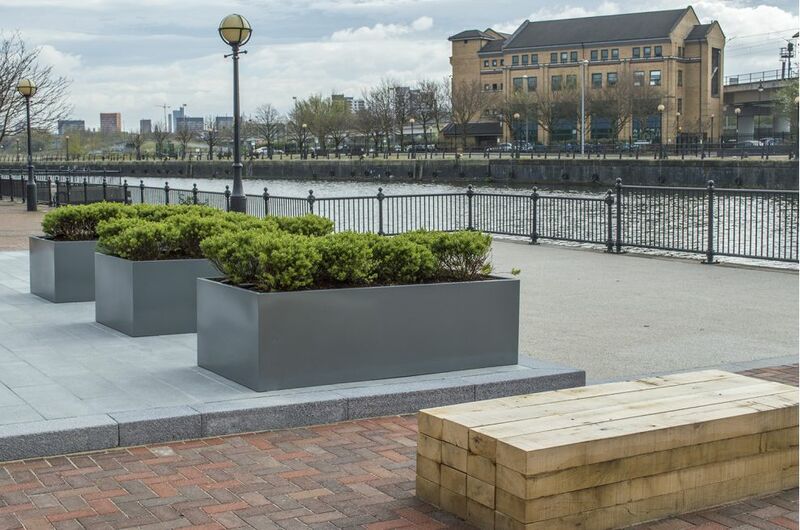 Soapworks is located on a bend of the River Irwell; and IOTA’s large planters were specified for the public promenade along the river which creates both the southern boundary to the development, and a significant public amenity space for the office workers at Soapworks. 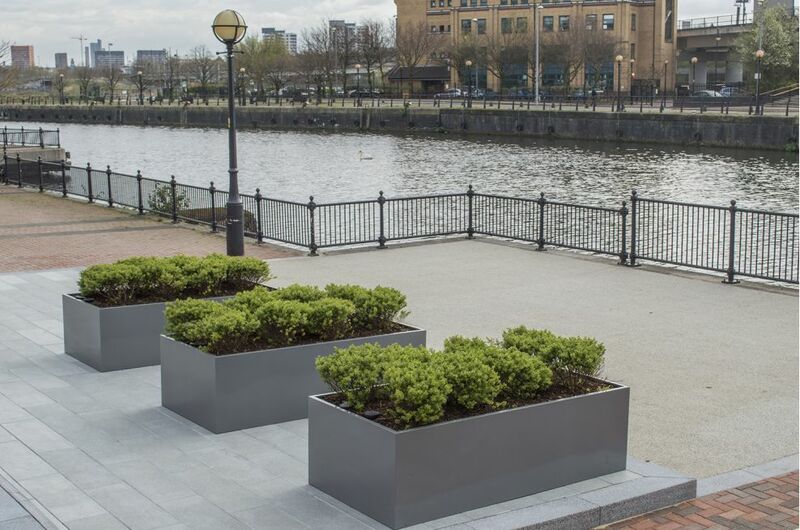 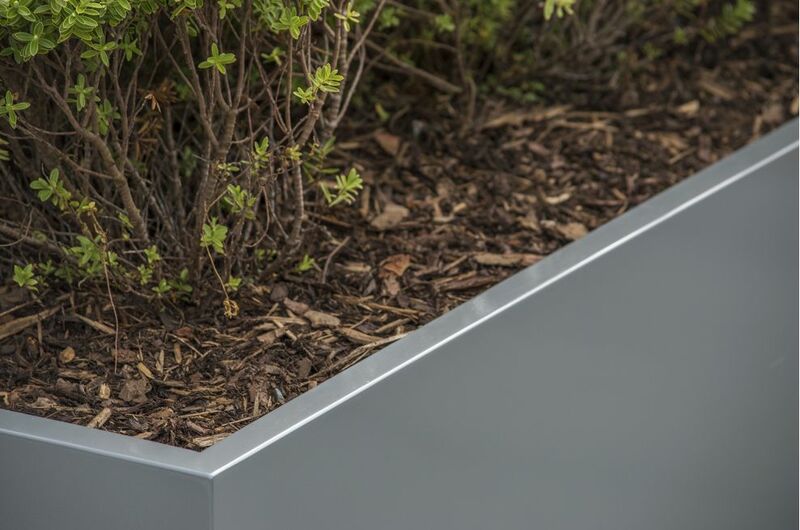 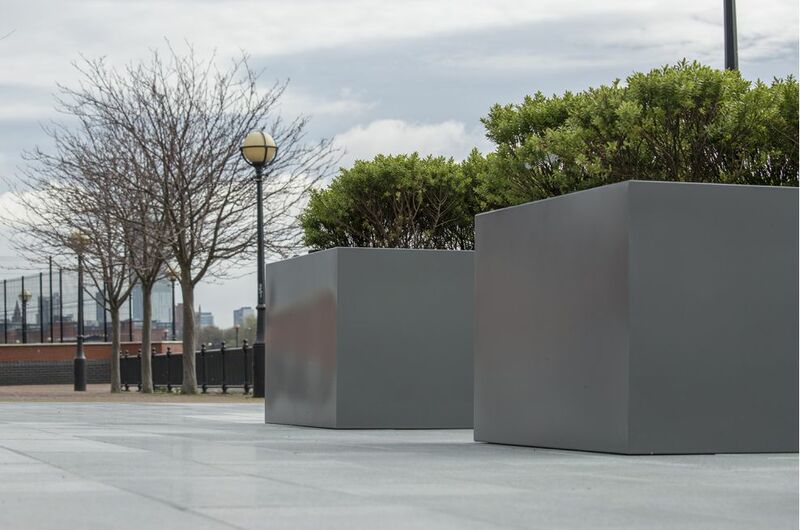 The planters were manufactured from 1.5mm thick Zintec steel, powder coated to RAL 9007 [Grey aluminium], and are of dims L 2000 x W 1000 x H 600mm. 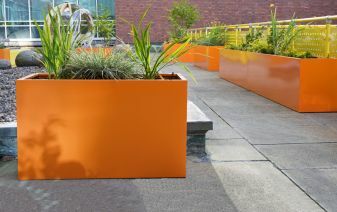 The planters were also finished with a clear anti-graffiti coating to all external surfaces and edges. 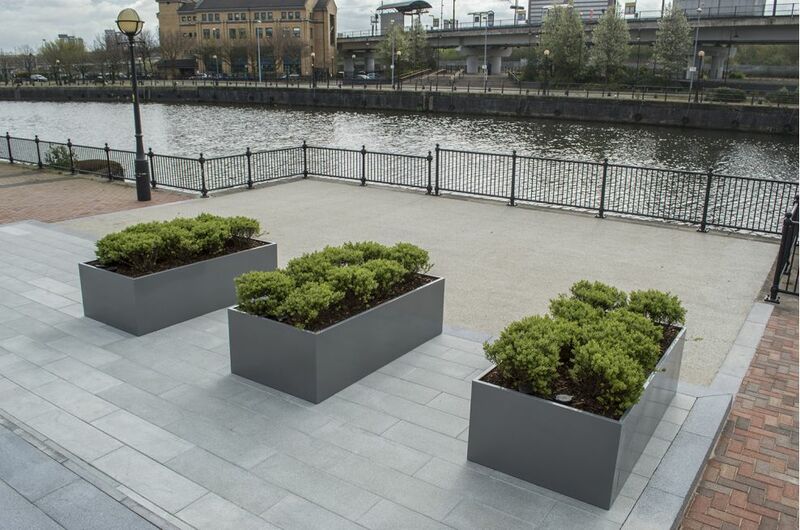 The planters were commissioned, installed and planted by landscape contractors Horticon Ltd.